For another year, Eurohoops has ranked the Top 100 EuroLeague players. 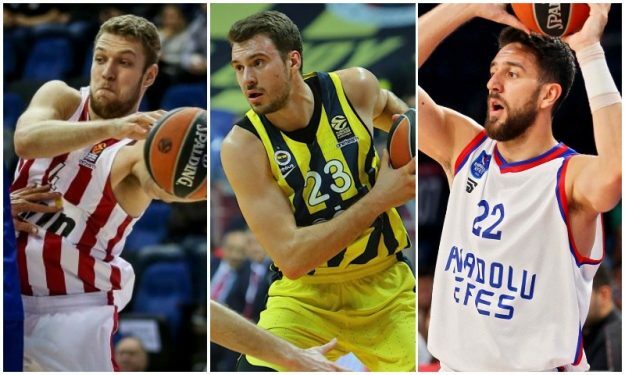 Eurohoops presents the Top 100 EuroLeague Players ahead of the 2018-2019 season. A list of players compiled with some specific criteria with the purpose of tracing and ranking those hoopers that are expected to define the upcoming EuroLeague season. While there are some objective and factual elements that were taken into consideration when choosing the 100 players and then ranking them, the final result is, inevitably, subjective. As always, there was a calculated risk with rookies, especially those who are completely unfamiliar with European basketball. Hence why some players who will now take their first steps in EuroLeague have been omitted from the list or where placed in lower positions in comparison with rookies with considerable experience at a competitive level of European basketball. Experience in this level and type of game matters since we’ve seen no few quality players, even established NBAers, immensely struggle in their new surroundings simply because of their unfamiliarity with everything that European basketball encompasses. What should be noted is that player of a team that is a title or Final Four contender automatically got a relative priority over another with possibly similar or equal, maybe even superior individual strengths. This is why you will find that there is an increased number of players from well-known powerhouses, apart from the fact that these teams usually sign top talent. It goes without saying that injuries also played a part in picking and ranking the players. 1) The individual quality of each player in combination with the role and playing time we anticipate he will get with his team. 2) The strength of the club he plays for. The players of the teams that are usually playoff staples and are considered among the title contenders always have the edge because they combine individual quality with their club’s high aspirations. 3) What each player has achieved in his career in the EuroLeague, combined with the prospect he carries for the 2018-19 season. The countdown continues with the spots from 80 to 71. Here are the 90 – 81 plus the 100 to 91 picks.